My new tour of Russia was announced by Russian booking agent Eugene Kolbashev on Facebook. The second half of the tour will posted shortly by Jeff Edelman the New York based agent originally from Belarus. I look forward to sharing more African music & one love vibes to the people of Russia. We are all one people! We are all Africans!! UNITY! LOVE! MUSIC! 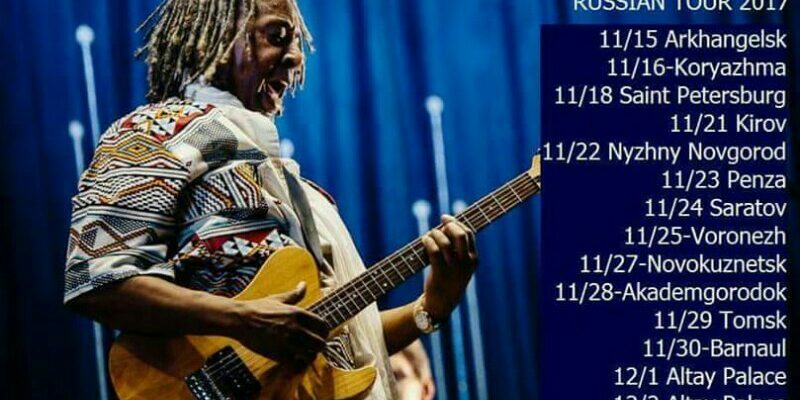 Previous Post:Gregg Kofi Brown brings African vibes to Russia! Next Post:Featured on Bunny Tunes release by Hungarian Dance label! !